Today, I want to celebrate the removal from the marketplace of one of the most toxic, indiscriminate, and dangerous rat and mouse poisons. On April 1, Reckitt Benckiser Inc., the manufacturer of d-Con brand mouse and rat poisons - and the sole holdout against US Environmental Protection Agency requirements to forbid the most harmful of poisons widely sold - stopped the distribution and sale of products containing "second generation anticoagular rodenticides" or SGARs, that have caused serious health problems for children and death to pets and countless wild animals. Anticoagulants like SGARs are called "super poisons" because they bring on a slow death which usually occurs a week or two after ingestion. Their toxicity and persistence is unrivaled. For years, labeling on d-Con boxes flatly boasted the product kills in a single feeding. Often times though, rodents continue to eat a load of the product, building up very high levels of the poison in their tissues. The rodents die a miserable death, but the poison remains lethal after it does the first job. 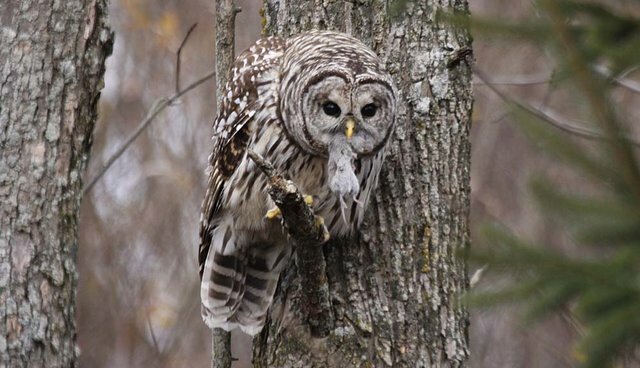 Hawks, owls, and other raptors feed on poisoned animals, both dead and alive, and they fall victim too, as the poison climbs the trophic ladder. The same is true for other animals who feed on the poisoned animals. For years, manufacturers aggressively pushed SGARs on consumers, boasting that they were the most lethal products around and the most effective at killing rodents. Their removal from retail sale and distribution (although outlets can continue to sell the poison they have in stock) will greatly reduce their presence in the environment and therefore the threat they pose to animals. Prior to EPA action, the vast majority of retail rodent poisons were SGARs and retail users were the biggest market for them - paying out more than $90 million annually for rodent control products compared to professional users of rodent control products who paid out only $15 million annually. While the announcement on D-Con is good news, we have more work to do. Sales of SGARs to professional pest control operators and to farmers and ranchers continue - although these are not major users of SGARs. Meanwhile, other poisons are used to kill gophers, birds, and even carnivores - even the federal government used sodium cyanide and Compound 1080 for coyote killing. Educating consumers, government officials, and businesses on the availability of effective, humane solutions is the pathway forward for society. Poisoning may seem cheaper and easier, but its costs are borne out in tremendous suffering for target and non-target species. These strategies are a throwback to an earlier scorched-earth policy, and it's time to mothball them and opt for more innovative, lasting, and humane solutions.